I have been with Moni since 2005 and have made several referrals, but now I regret making those referrals. I moved in 2016 and made a 36 month contract. I went into default with my account due to life changes that were unforeseen. In 2017 I paid the balance on my account but then realized that Moni was no longer monitoring my home due to me being in default. At this time I called back and they stated that they could start monitoring my home again with a 12 month contract, I agreed. I was under the assumption that my hold contract was null and void since they had stopped monitoring me. Well, fast forward to today and I was told by Moni that when I agreed to a 12 month contract, that this was a 12 month extension to the original contract!!! Why would I do this?? The customer service rep never explained an extension of the contract. I even listened to the call play back. Now Moni is stating that they CANNOT AND WILL NOT reverse the 12 month extension because at the end of the call the customer service rep stated that “no other adjustments will be made” basically saying that the old contract was still valid. I explained to them by the customer service rep saying this, is was like the little fine print that no one reads. I asked them why the customer service agent never told me this would be an extension and they had no answers, they just kept referring to the statement he made at the end of the call. Moni is not willing to help. Then the manager began to explain to me that anytime you reactivate then you can either do a 12 month extension or pay the tech out right, which was never told to me to this date!!! If I would have known any of this, I would have never reactivated or even began a new contract with MONI. It seems like they are tricking and bullying their customers into longer contracts!!!! Awful!!! Worst company ever. Do not purchase. Will not service unless you pay 85-135$ each time required. Which it will require often. Will NOT cover add one such as thermostat, sky bell or even the cameras that you purchase. Which means they charge you 72$ to monitor not repair without costs to you. ICE for the military has information on how many soldier complaints have been listed and it is not listed as a reputable company! Go to simplysafe! Do t waste money! Difficult contracts and oh almost forgot! Our technician walked off the job during installation 2 years ago and still they haven’t fully installed but claim service was completed! Just say no! Stay away from Moni! We purchased a home which came with a fully installed alarm system. We wanted it monitored so we contacted Moni to begin monitoring our system. After 9 months we had a reduction in income and wanted to reduce some of our not needed monthly bills. When the installer came to hook up our system he said we would not have a time commitment with our contact because we already owned our system. Today I tried to cancel our service but was informed that our contract still had 32 months to go and Moni would not cancel it without paying the balance due. This is totally not right! I can understand a company trying to recoup their costs for a new system but in this case we provided everything and it was fully functional. Moni provided NOTHING, yet they still feel we owe them for service we do not want nor can afford. Buyer beware and stay away at all costs! This company has a very shady cancellation process. They just won’t cancel it. I eventually had to place a stop payment order with my bank that cost me $35. Then they had the nerve to call me saying I owed them money 4 months after I cancelled my service. Worst security company I have dealt with. From begining to end everything has been bad. Bad customer service, bad installation, bad contract negotiation. They ask you to sign a contract just to increase your premium later on without letting you know. once your contract is over get ready for the second batch of lies. They lie about the new premium, they lie about the service, they lie about everything and then you are wondering, do I really want to secure my house, my family, my belongings to this kind of people? They dont respect not even themselves. It is really a shame that companies like this one can operate in US. Worst customer service procedure on earth. So my alarm system beeps every 7:00pm and I called for a simple question. The first time I called for my mom they wanted to know the password to access the account. All I needed to know was where to buy the battery and he was about to argue with me why I couldn’t get that information. The second time I called I had a password, and they told me it wasn’t the right password. All I needed them to do was send a tech out to look at the alarm system yet they asked for all sorts of verification, they wanted the name of the two other contacts, and the last 4 digits of your last payment transaction. It wasn’t enough I had one. I was like your system has been offline for a month. We’re still paying for no service. Their excuse was they are a security company so they can’t do anything unless you can match their incorrect information. Sucky security company if you can’t tell your system isn’t working. The worst costumer service, worst contract, worst service and the time I regret the most not have money enough to sue someone!!!!! 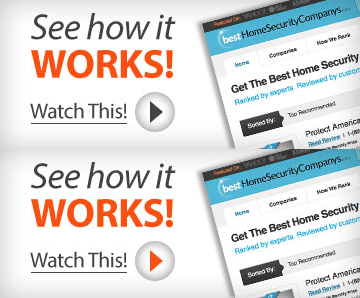 It is a Scam security company, they should protect against themselfs! We have tried to cancel our service four times. Still being charged and every time we call on hold for over 30 mins. Then they tell us we have to talk to a different department and then they are closed at the time. also i assumed account that was in my girlfriends name when we were together and once we got married I called and put Moni account in my name and now found out that they started contract all over, 36 months when we already paid a year and a half. I have been trying to cancel my account with Moni for months now. We moved 3/15/17 and called to put our account on hold while we built. I spoke to a super nice guy that promised to hold our account for 6 months. He also said once we moved he would drop our rate from $69.99 to $30. He was giving us new equipment and promised we’d have a 12 month contract. I was super grateful and waited to finish our new home. Moni continued to bill us even though our account was suppose to be froze. I called again 6/27/17 and was given an email stating the facts above. The guy I spoke to left Moni sometime between June and August. I called again in September to see why we were still being billed and I found my contact gone. Everything he promised was not going to be done. I sent Moni the email proving what he promised. I spoke to Krina Wheatley in January and she promised she would keep the promises within the email. I called a few days later to change the hardware from 5 door sensors to 4 and she started being very rude. I told her I did not need certain equipment and I would like to drop some and get different stuff. She informed me I was all the sudden under contract until 2020, even though the email said it was a 12 month contract, and how they original person gave me too much product anyway. I asked what I could do to cancel and she stated we had to pay every month of our remaining contract. We are a military family. My husbands orders state ‘dependents: yes’ but because it doesn’t state my name they will not allow me to cancel my services. Warning to military members: don’t put the account in your spouses name if you want this unpatriotic company to support you while you move about the world supporting their freedoms! Despise this company. Tried to cancel. They offered a discount rate to keep me and then I found out the discount was only for 2 years but they were extending my contract a full 2 years. Good think I asked some questions or they would have tide me a full 7 years instead of the 5 original ones. They have gone up on my rates and I need out of the gimmick. Help??? I have been a customer for over 15 years. I recently sold my house and tried to cancel service over the phone. You must wait for an email for the procedures that instruct you to wait for an additional email from Docusign. After they receive the doc it would take 30 days to cancel. I tried calling the 24/7 number but the recording states to call during normal business hours. I called and voiced my complaint to someone and was told I would be transferred to customer. I was hung up on. When I called back I got the same recording to call back during business hours. I sent an email complaining and did get a next day response that the document would be sent and to call customer service if not received in 3 days. This is a scam. I bet if I were signing up for service the service would be excellent. I would never recommend this company to anyone, ever. I have been with this company for over 2 years.I would not recommend this company. My alarm went off for no reason at 1am. I was in bed asleep. I bought the extended term plan because the salesman assured me that there would be no out of pocket cost to me if a technician had to come to my home for service. I called the next day and spoke with Tony in Technical Support who informed me that the insurance policy that I purchased requires a $50 co-pay. What insurance policy? The salesman never mentioned a policy or a co-pay. They will tell you anything to get a contract. Buyer beware! Signed a 5 yr contract with Moni when we built our house as the developer was promoting them and it was the easiest option. Four yrs of paying $48/mo was too high so I called yesterday and negotiated a reduced rate of $32 + tax/mo. And that rate is frozen as long as I’m a customer. I have no issue with the equipment or tech support so I’m satisfied. Maybe could have gotten a slightly lower rate but would have required new equipment and didn’t wan the hassle. AWFUL customer service. Takes over 30 days to cancel the monitoring service and even then, they kept it active so I was receiving calls regarding the alarm going off in a house I no longer owned. Never again will I sign with Moni.